Every organisation needs to bring decision-making groups together quickly, easily and in a cost-effective manner. Internet Videocommunications offers a whole host of ways to help you communicate more closely and dynamically by video, both internally and externally and regardless of what system or device you wish to use. For a growing number of organisations, especially those with multiple locations, there can be even greater benefits when deploying a cloud based video conferencing solution on your own premises. Not only does this bring tremendous cost savings by utilising your own network, but it also allows you to converge your video, voice and other communication media under the one platform for streamlined management and control. Internet Videocommunications operates an industry leading global bridging bureau service, called SightLink. Established in the early 1990's, SightLink continues to set the standard for the most reliable, high quality, fully-managed conferencing service in the industry. How people cooperate and collaborate has changed dramatically in recent times. The mass deployment of smart phones and tablets has changed how people share information, how they collaborate and how they want to communicate. 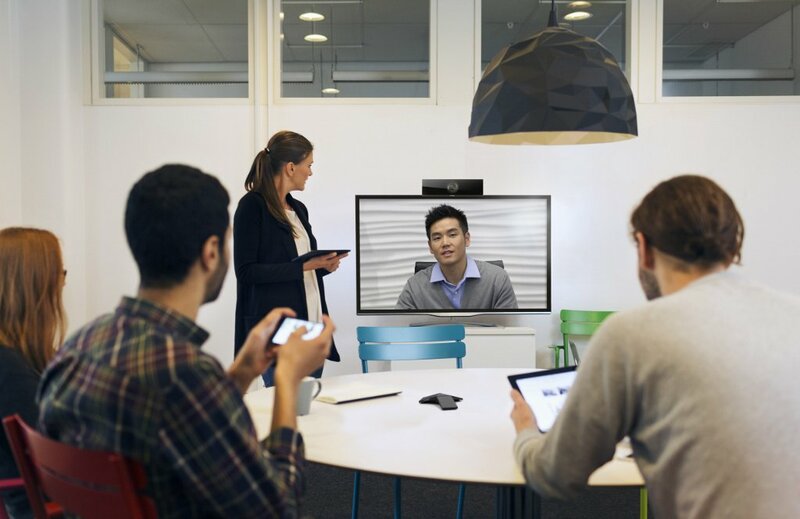 Today, for many organisations, the simplest and easiest way to meet by video is via a Virtual Meeting Room (VMR). 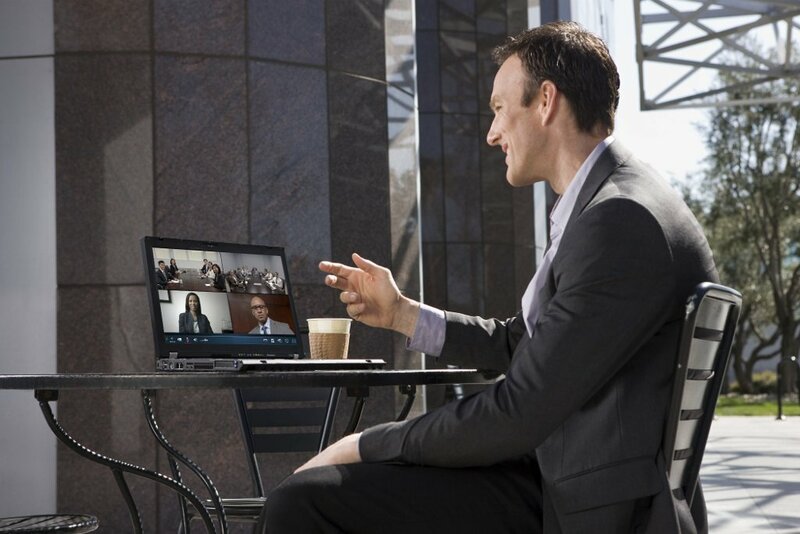 With SightLink you can access a VMR from any type of device, whether a video conferencing system, a web browser, through Microsoft’s Lync, Skype or Skype for Business clients, a smartphone or a tablet, a regular phone, and in many other ways. You can share information, presentations and collaborate. Best of all, it is always available and always accessible for ad-hoc or scheduled meetings. And, because it is yours, it is easy to invite people into it. Each VMR supports up to 30 participants as standard and the service easily scales to provide thousands of VMRs to each organisation, with the objective of enabling every individual with their own VMR. SightLink consists of 15 global points of presence with redundant data centres in Europe, North America, Middle East, Asia and Oceania, all serviced by a Quality of Service-enabled MPLS backbone.As a result, our clients have access to the most resilient architecture. So when you connect to SightLink you will be doing so using the shortest IP path to the nearest point of presence, which in turn means eliminating packet loss, latency and jitter that is often observed by traversing large distances across the public internet. Eager to embrace emerging technologies, we constantly strive to offer new levels of inter-operability. Whether you need to link your videoconferencing estate with Microsoft’s Lync, Skype or Skype for Business, or perhaps with Google Hangouts, we have a cloud-based service offering to suit. And whether you choose a dial-in service or our ‘white-glove’ concierge offering, our experienced operators will take care of every technical and administrative aspect to let you and your colleagues just focus on your meeting. Our specialist service offerings also include integration of your videoconferencing estate with Microsoft Lync, Microsoft Skype for Business and Microsoft Office 365. Having a team with collectively over 200 years of experience in this field, Internet Videocommunications’ infrastructure specialists are unsurpassed in their technical expertise and delivery of real-world implementations. They will discuss all the relevant options available to you in the context of your network architecture to establish the optimal bridging solution for your organisation. Free audio dial-in using local dial-in numbers. Join over the phone with a single click using My Meeting Audio for Smartphones. Redundant datacentres in Europe, North America, Middle East, Asia and Oceania. Connect using internet as last mile. Low latency, high quality QoS video network ensures minimum network delay, jitter and packet loss across all regions. End-to-end encrypted media using TLS/AES, Secure firewall traversal, ISO27001 / SOC-2 compliant datacentres. Dynamic registration of users and calls with intelligent and optimized call routing to minimize delay and increase quality. Connect up to 30 video and audio participants and combine this with streaming to an unlimited number of viewers (option). Install Microsoft Outlook plugin for Scheduling video meetings from your PC, or schedule calls directly on your iOS or Android Tablet or Smartphone using the My Meeting App. Manage, monitor and control your own account and meeting using MySightLink user portal. Centrally management of all of your subscriptions through MySightLink administrator. Access to real time and historical usage as well as remote assistance for ongoing conferences. Automated monitoring and hot swappable PoPs for maximum redundancy and reliability. On behalf of the Chairman can I pass on our thanks for the excellent service. The effort and attitude from day one of our engagement has been exemplary. Thanks for all your help - you've really gone above and beyond on this one. Internet Videocommunications have been an exciting team to work with. I can't thank you enough for your commitment. I simply cannot fault the professionalism and dedication shown by Internet Videocommunications.